So Julia Turshen’s Small Victories, which arrived on our doorstep around the same time that our little chubawub did, is proving to be a book to live by these days. Not only could I just live in the food and the photos (which were taken by Gentl + Hyers, and are providing no small amount of inspiration for this project), each recipe is written with a little thing to feel good about, like mayonnaise as a worthy replacement for raw egg in Caesar dressing, or a tip that a damp paper towel under your cutting board will glue it stolidly in place on your counter. They also each have “spin-offs,” so that one recipe leads to not just one triumph in the kitchen but many. That’s it! But, in the truest testament to what Julia does, it is magically delicious. Creamy, milky mascarpone (especially from Vermont Creamery!) 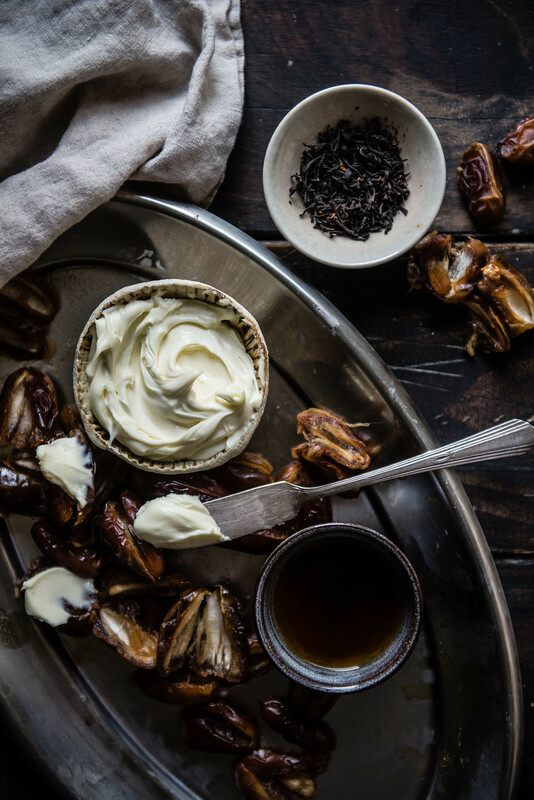 spread on sticky, molasses-y dates is the most perfect combination that I’d never thought of until now. I soaked the dates in a bit of strong black tea, just for a little extra nuance, but it’s hardly necessary. Even with that extra step, the dessert comes together in less time than it takes for B3 to wake up from his nap, let alone take one. It’s easy, yet delicious, and leaves all the time in the world for other things, like celebrating not-folded-but-at-least-clean laundry, or wiping down the counters after far too long, or doing none of the things you are supposed to and spending an hour rubbing noses with a tiny person instead. 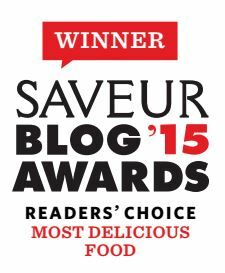 Thank you to Vermont Creamery for providing the wonderful mascarpone in this post. All opinions here are, as always, my own. This is so simple it hardly needs a recipe, but so delicious that it demands one. 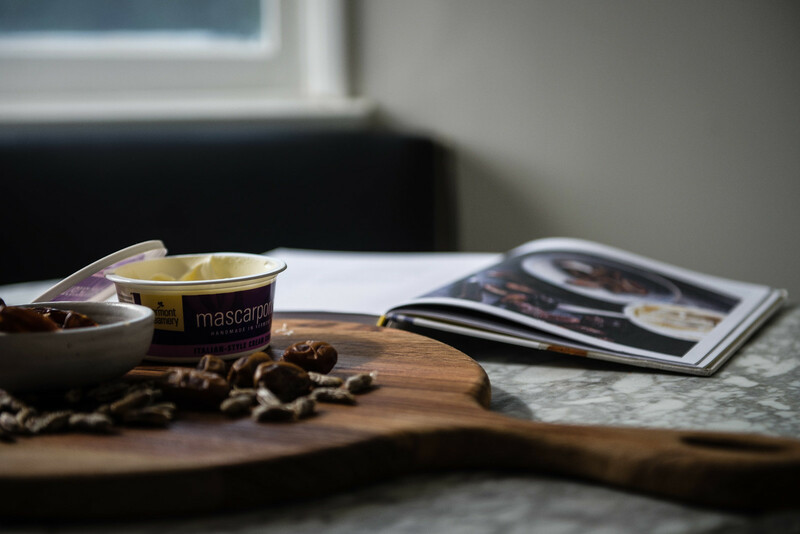 The creamy mascarpone offsets earthy, caramel-like dates and malty black tea. I found that it reminded me of these White Rabbit candies I grew up with, in an odd but fantastic way. Barely adapted from Julia Turshen's Small Victories. 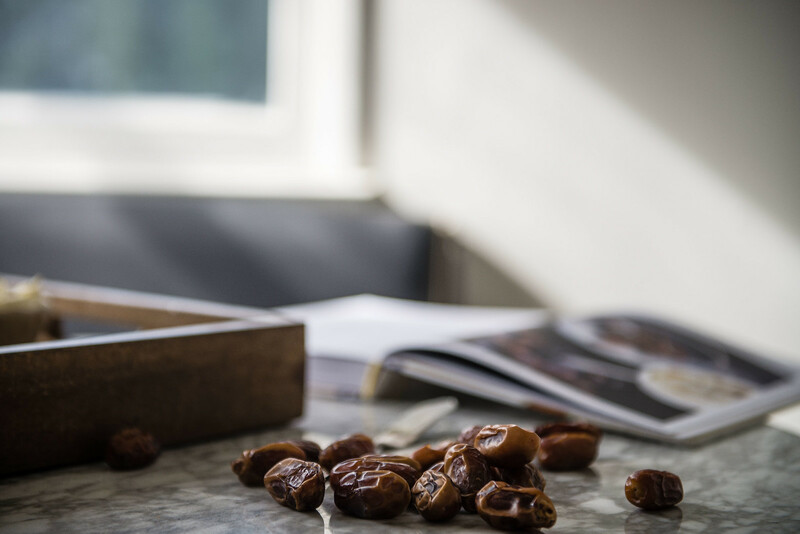 Place the dates in a medium bowl and pour the black tea over the dates. Let sit for 5 minutes, then drain and serve the dates with mascarpone for spreading. Enjoy! You can reserve the tea to drink, diluted a bit with water if needed -- it's naturally sweet from the dates! Back of the pocket desserts are the most satisfying. 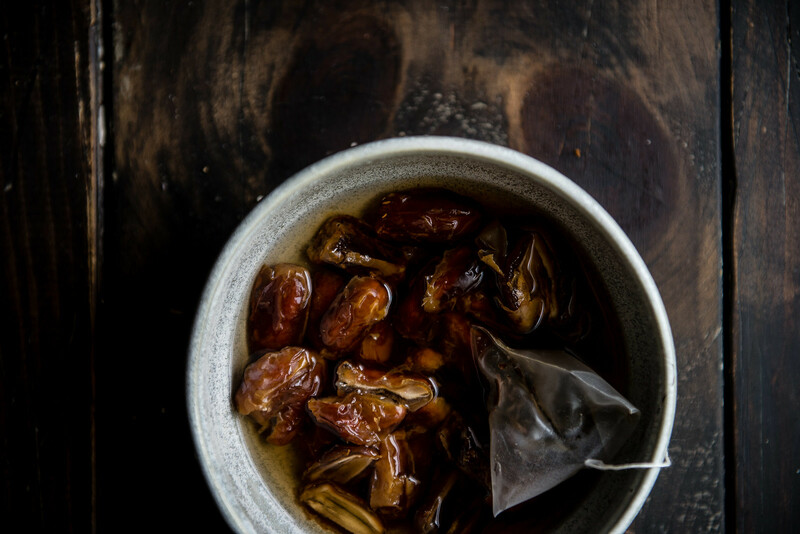 I love the idea of soaking dates in tea- it sounds fantastic. This is so good, Cynthia and molasses-y is my most favourite word now! I’m so glad you love this book. It is pretty much the best thing in my life providing me with endless encouragement. I swear I recommend it to everyone I meet. 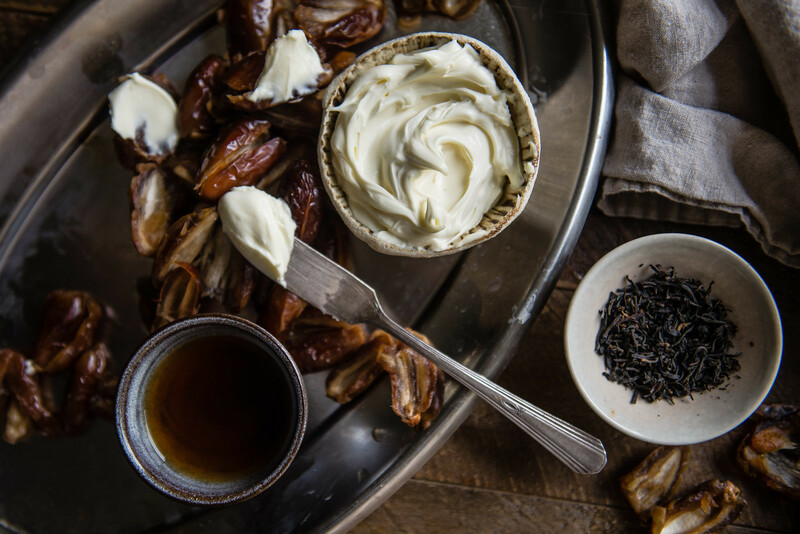 Creamy mascarpone with dates and tea? Sounds like a sweet little victory to me 🙂 I love how you styled this recipe, so inviting. lovely, beautiful delicious! mascarpone is a brilliant pairing with this dish, thank you for this! I’m not much of a baker, so this was like a dream come true for me that I can actually have a simple dessert for valentine’s day without burning the house down. 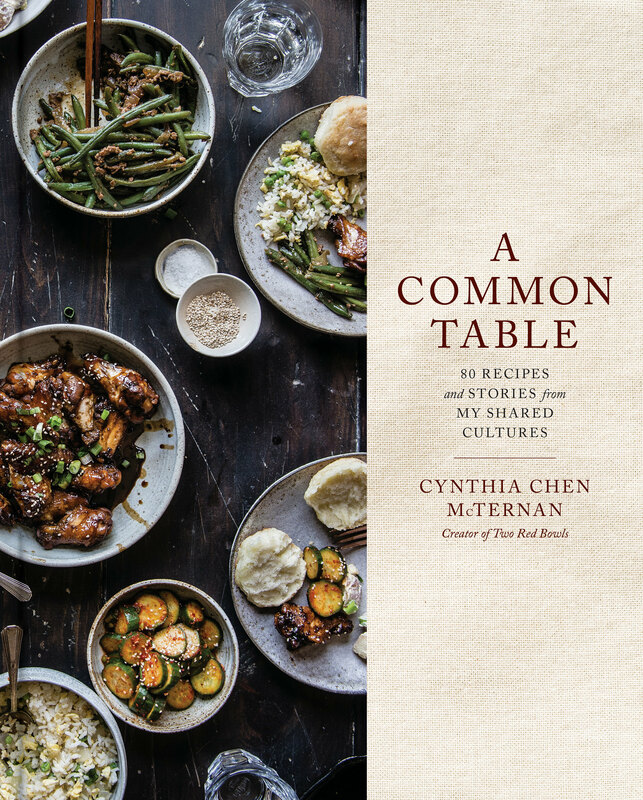 🙂 It’s such an amazing and unique idea …but honestly, I’m hoping with time and following along with your recipes I’ll be able to produce good sweet eats from the oven. This looks magical. If my Great Nonni was still alive she would have loved this recipe. 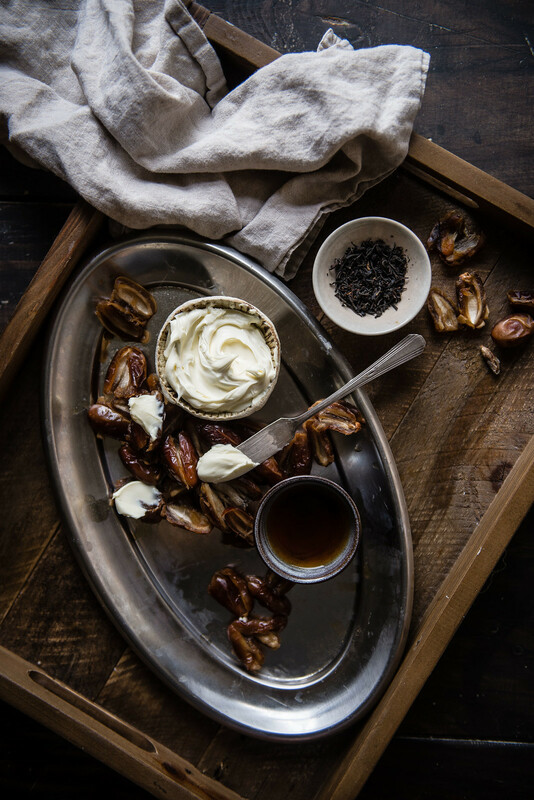 My sister, her, and I would have sat outside and eaten tea soaked dates dipped in mascarpone for days with me!!! Wonder if a hint of orange zest on top would really help kick those flavors up even more!! Will surely be trying as I have all ingredients in my fridge currently. SCORE!